Fram and Sax CP would like to thank everyone who was kind enough to donate food, gifts and money through various means over the festive period. Our food collection bins were full, money was given, wonderful knits were crafted and Amazon Wishlist parcels kept arriving. We and the cats in our care are extremely grateful. It is only through such generosity that we can carry on caring for and homing cats and kittens and continuing our welfare support and education. 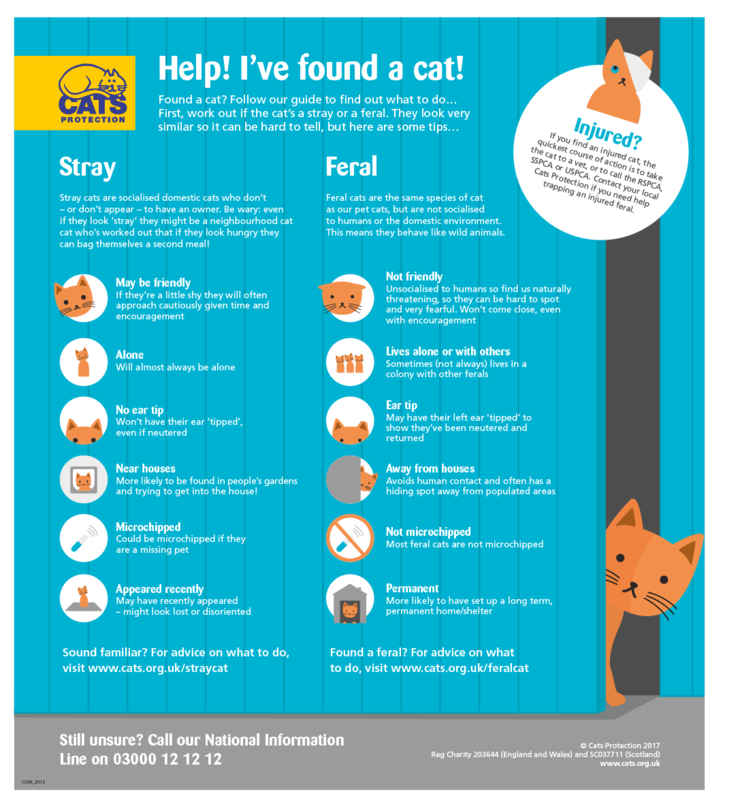 Cat Advice:What to do if you find a 'stray' cat. Most cats by nature are inclined to roam the area surrounding their home. If an unfamiliar cat appears it may not be easy to tell if it is a stray, a feral or if it is in fact an owned cat with a sense of adventure or possibly one just looking for extra food! So what should you do? It is important to assess whether the cat is a stray, a feral or an owned cat. If it appears well-groomed and is a healthy weight, it may have an owner nearby; a feral will behave like a wild animal and won't come close, even with encouragement; a stray might look lost and disorientated, but may be friendly if given time. It is advisable not to feed unknown cats that come into your garden (or home) unless they are clearly underweight. This will only encourage them to keep coming back and they may have owners feeding them too and importantly, they may have special dietary requirements due to health issues. 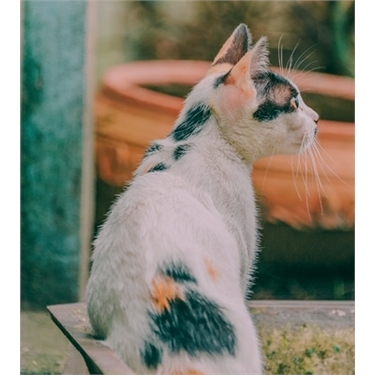 If the cat is friendly and you feel it is safe to approach and handle it, check if there is an identification tag; if there is, contact the owner and let them know the situation. If there is no visible ID you can take the cat to your nearest vet to scan for a microchip, or call your local Cats Protection branch for help and advice. To see if someone has reported their beloved pet missing check local social media sites and CP branch websites (or telephone local CP helplines); advertise the cat you've found using flyers or social media sites, and if you can safely handle the cat you could attach a paper collar (a link to a template is on our website) on which you can put your details and ask the owner to contact you. Find more information here about how to identify whether a cat is a stray or possibly feral.